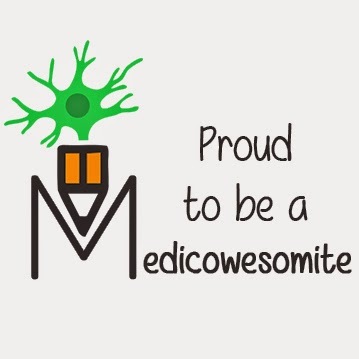 Medicowesome: Phagocytes, Monocytes, Macrophages, Histiocytes?! What's the difference between them? Phagocytes, Monocytes, Macrophages, Histiocytes?! What's the difference between them? If you've always found it difficult to make a distinction between those terms about wha they mean then this post is for you. Let's just settle it once and for all. First lets make the differentiation between macrophages and phagocytes. Phagocytes comprise of a lot of white blood cells like Neutrophils, Monocytes, Mast cells, Macrophages and Dendritic cells. So basically saying all Macrophages are Phagocytes. But all Phagocytes are not Macrophages. The Monocytes are the blood cells present in the blood. Oh really? what else? The earth is round? Jeez! Just read on. They are the cells that are formed in the Bone marrow from the Myeloid cell line and then released into the blood. The differences between macrophages and dendritic cells are both structural and functional. More important are the macrophages obviously. The monocytes forming the macrophages are called as the Monocyte-Macrophage system. The macrophages have different name in different tissues but basically all are Macrophages. Its all macrophage but it just takes different forms. Like a super spy. Like James Bond. And not only kill its also acquires intel and presents it to its boss, the Lymphocye. After killing, it digests the microbe and exhibits the antigens on its surface and presents them to the Lymphocytes in the Lymph Node. Hence also known as the Antigen Presenting Cells.